Leonard Nimoy and William Shatner first crossed paths as actors on the set of The Man from U.N.C.L.E. Little did they know that their next roles, in a new science-fiction television series called Star Trek, would shape their lives in ways no one could have anticipated. In seventy-nine television episodes and six feature films, they grew to know each other more than most friends could ever imagine.Over the course of half a century, Shatner and Nimoy saw each other through personal and professional highs and lows. In this powerfully emotional book, Shatner tells the story of a man who was his friend for five decades, recounting anecdotes and untold stories of their lives on and off set, as well as gathering stories from others who knew Nimoy well, to present a full picture of a rich life.As much a biography of Nimoy as a story of their friendship, Leonard is a uniquely heartfelt book written by one legendary actor in celebration of another. This is one of the most eye opening books I have ever read . 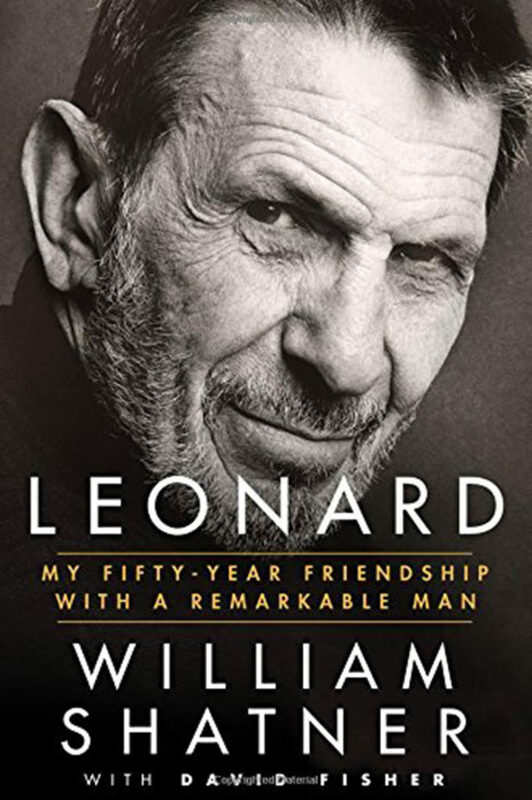 The insight that only comes with years and years of knowing the intricate details of ones life .The best parts were for me were the quiet side of Leonard Nimoy , the artist and photographer who loved to shoot the female form . The true patron of the arts who supported all that he held dear . The father who made his family a priority in later years to heal old wounds. The man torn between two worlds on screen and off. If you are just a passing Star Trek fan or a tried and true die hard this book is for you . I give it 4 stars out of five because I never read a five star book . Its available now online and all finer book stores . I highly recommend it .